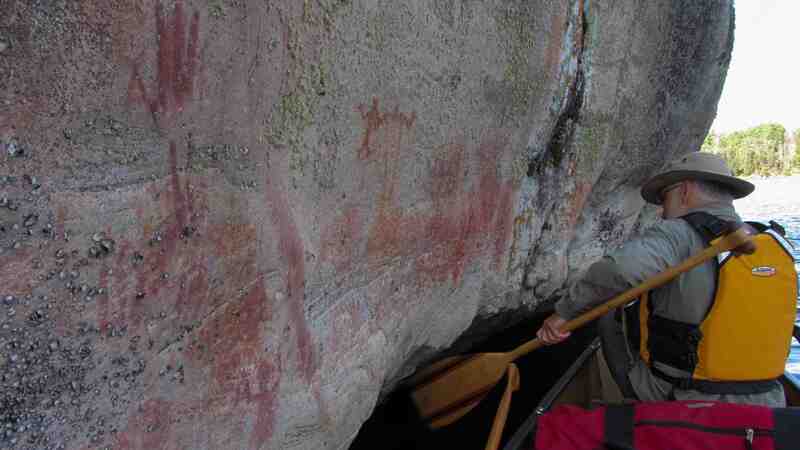 A highlight of the six days we spent on the headwaters of the Bloodvein River system was the chance to see a number of Anishinaabe (that is, Ojibwe or Chippewa) pictograph sites. 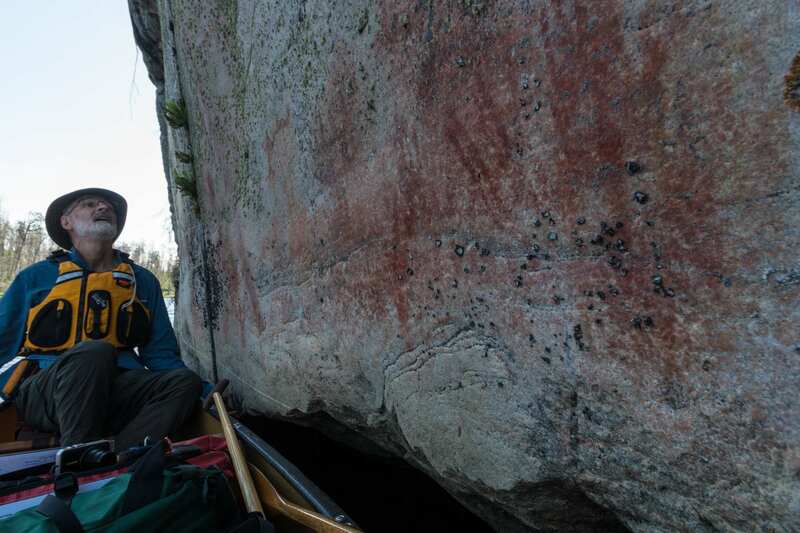 As he had been on our visit to the Cliff Lake/Pikitigushi River pictographs , Selwyn Dewdney would be our guide on the Bloodvein. 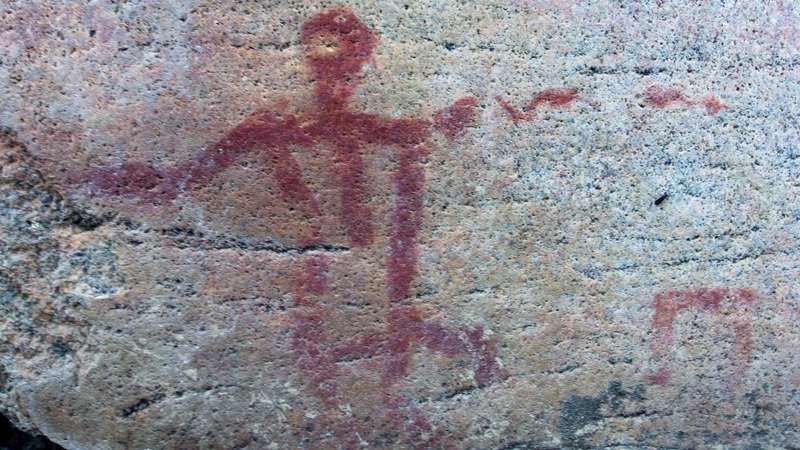 Researched and written over fifty years ago, the first edition of his book Indian Rock Paintings of the Great Lakes (click on the title for a downloadable copy) was published in 1962. 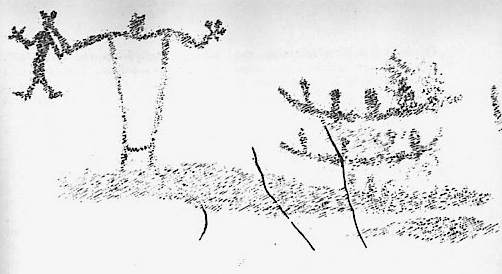 It included an account and drawings from his visit to the #1 pictograph site on the Bloodvein River system, the one at the east end of Artery Lake. 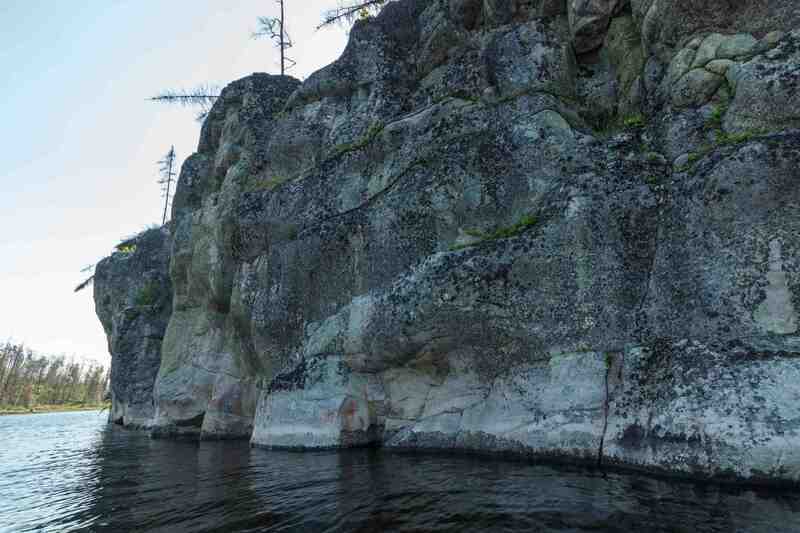 He then goes on to describe in great detail the site that is actually located east of Larus Lake! In the summary list of all sites at the end of the book it is Site #154 and is correctly situated east of Larus Lake! Given that three sets of rapids separate the site from Larus Lake, the site should really be referred to as a Murdock Lake site. 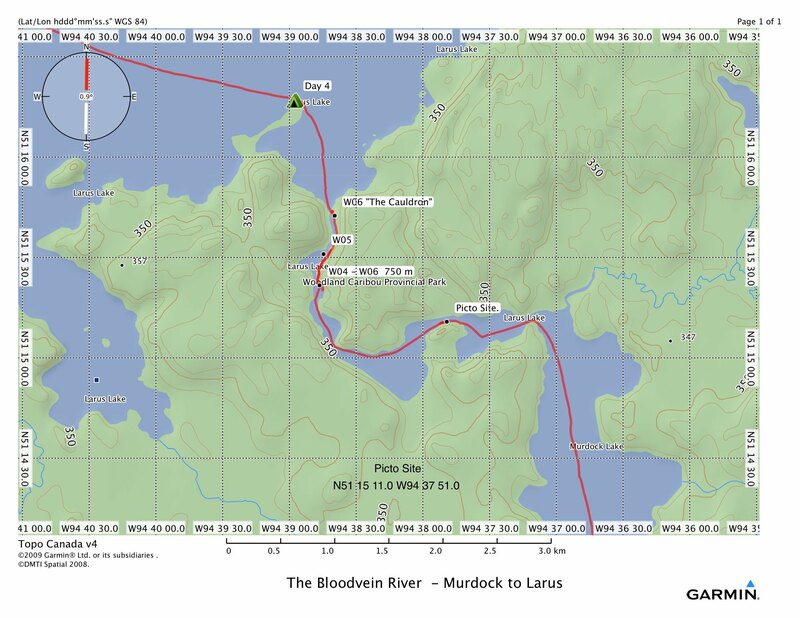 To add to the naming confusion my Garmin Topo Canada v.4 map above labels the water above the rapids as “Larus Lake”! I’ll just label it the “Murdock-Larus site on the Bloodvein”. 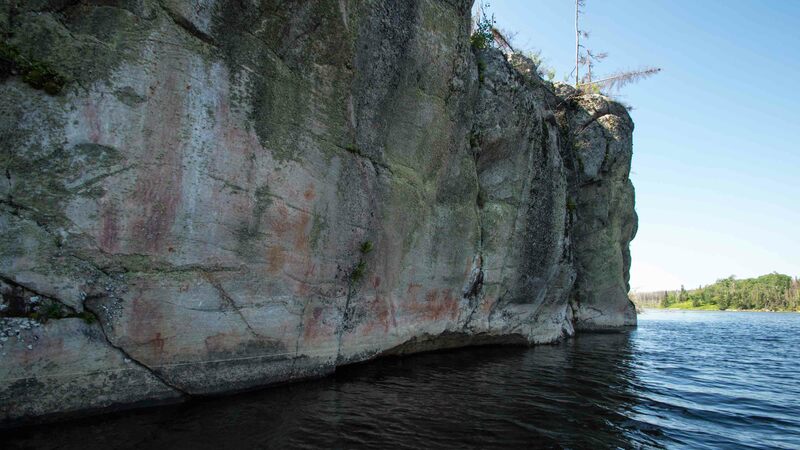 While there are many spots along the river where the Anishinaabe shaman could paint his images, this section stood out as special. 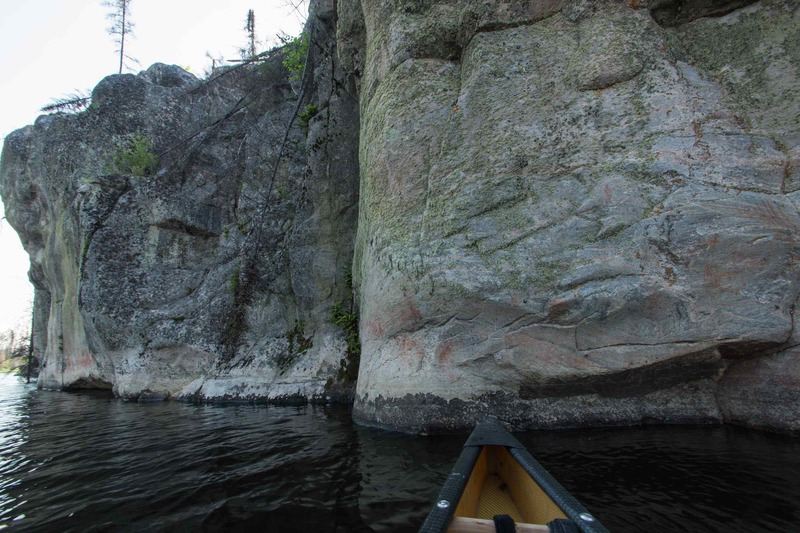 It had a higher, more dominating rock face, long stretches of white granite, and what could be interpreted as underwater entrances to the rock face used by the resident water spirits (the maymaygwayshi) which the medicine men have come to acknowledge or petition. We saw this as we paddled slowly along and inhaled the moment. 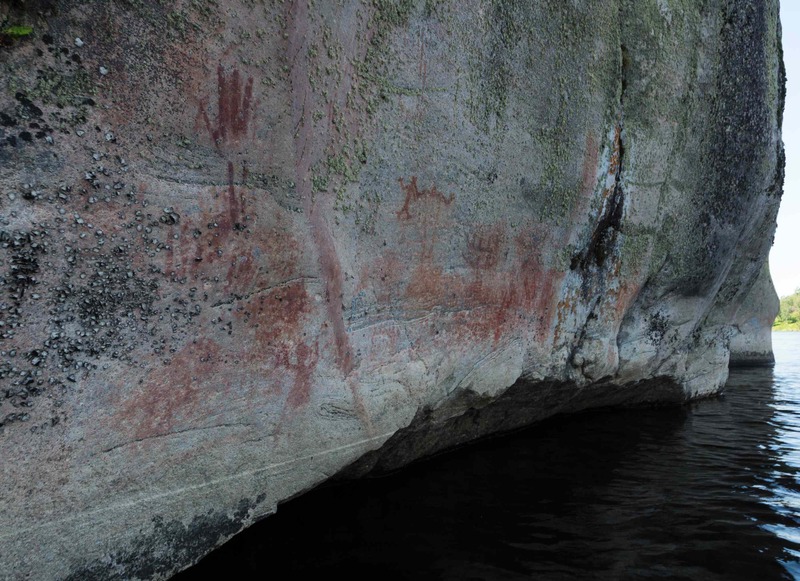 When we reached the end we turned back to the beginning of the pictographs and took out our cameras to record some of what we saw. 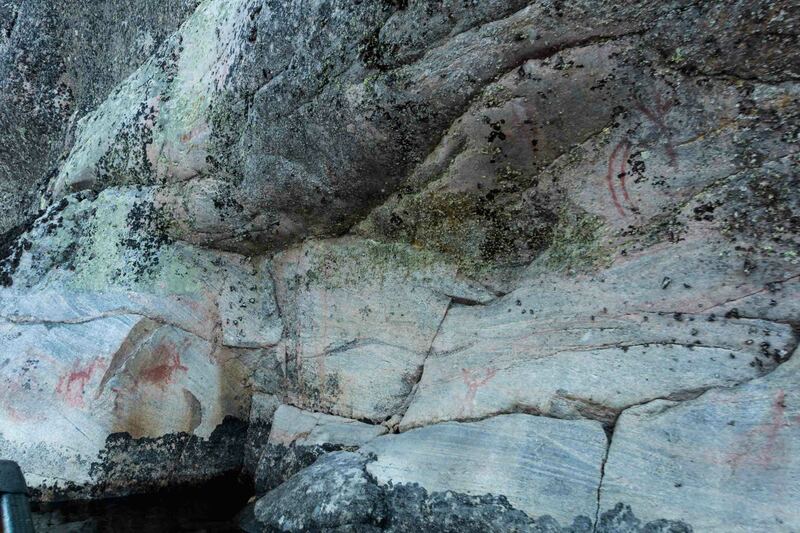 The first pictographs appear a few meters before (that is, east of) the main site. 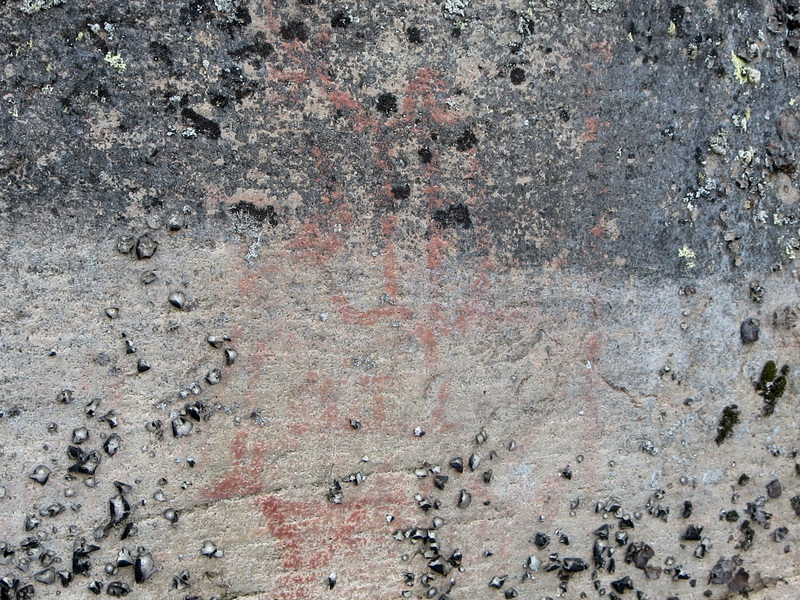 The lowest figure – in a different pigment than those above – looks like a moose or caribou. Some indecipherable drawing sits above his pronounced ears. 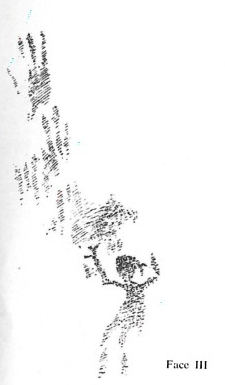 Above that seems to be a human figure with a central spine drawn in; he seems to be holding something in his stretched-out right arm. 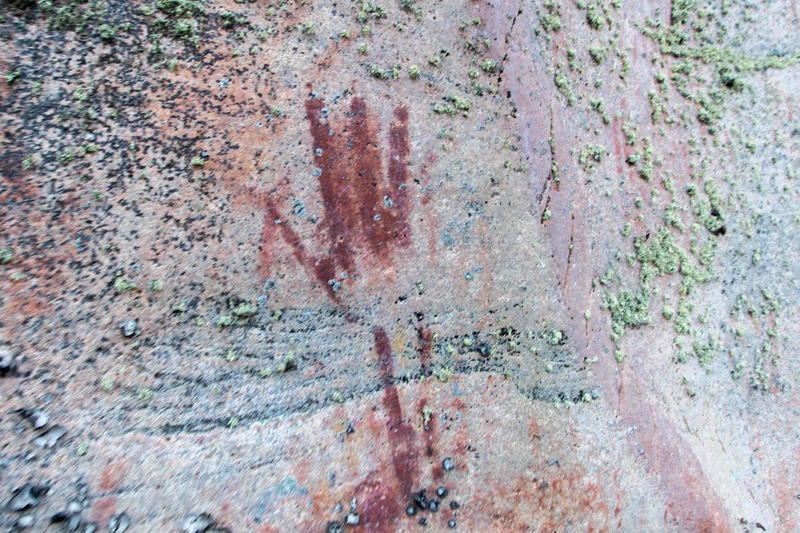 Given the presence of a similar figure on another rock face meters away, it may be a shaman holding out his medicine bag, sometimes depicted as an otter skin. 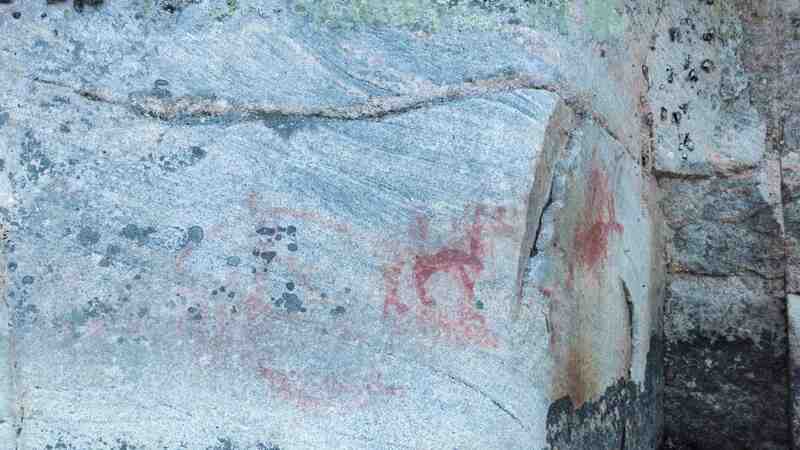 Two caribou and shaman holding medicine bag? 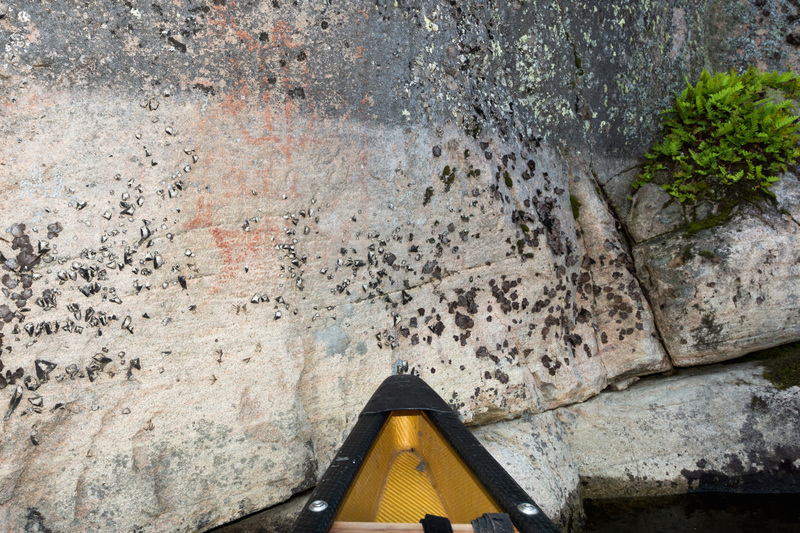 And then we paddled back down a few more meters to the core of the site where the remaining pictographs are. They will appear here in the order one would see them if paddling down the river. 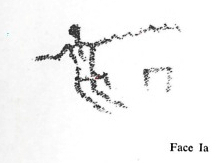 At the same time, I will try to connect the various pictograph panels or faces to the comments which Selwyn Dewdney makes. I am surprised that Dewdney did not consider another interpretation – and to my mind the correct one. The drawing is of a shaman holding out an otter skin bag in which he keeps his “medicines” and various cultic objects. 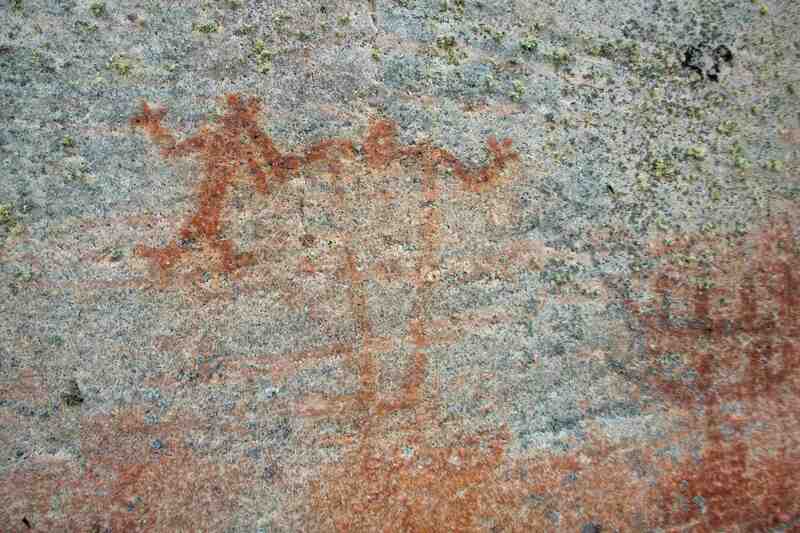 Further down river at the main Artery Lake site is another such shaman/otter skin drawing. The one difference – meaningful or not – is that while the arms are outstretched in both human figures, one is holding the bag in his right hand while the other has it in his left. 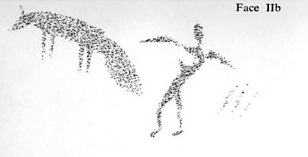 Both shaman figures have canoe images nearby. 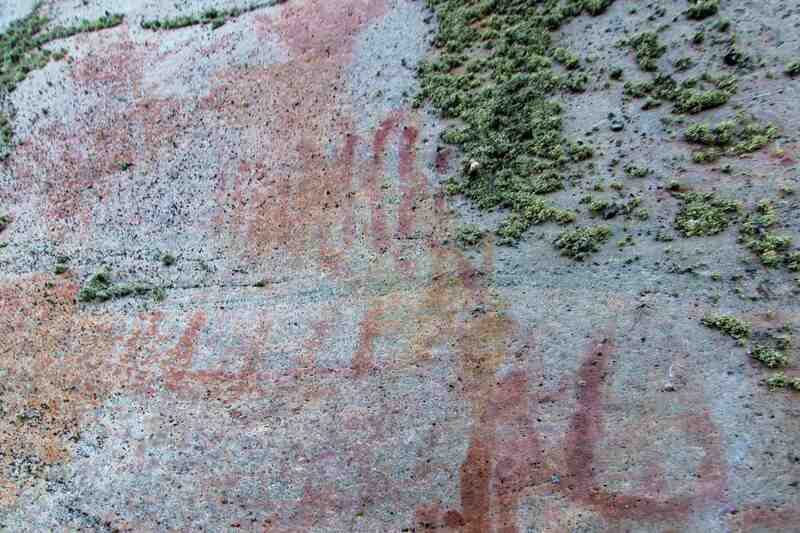 Next we come to a couple of images of canoes and smudges of ochre with tally marks or hands visible. 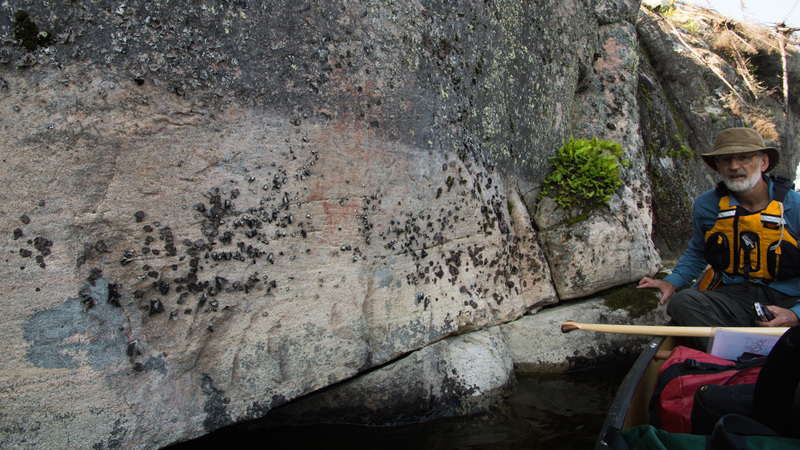 And then it was time to re-enter the mundane world, the world of canoe strokes and portages. The west wind had picked up as we made our way to the day’s portages which would take us into Larus Lake. 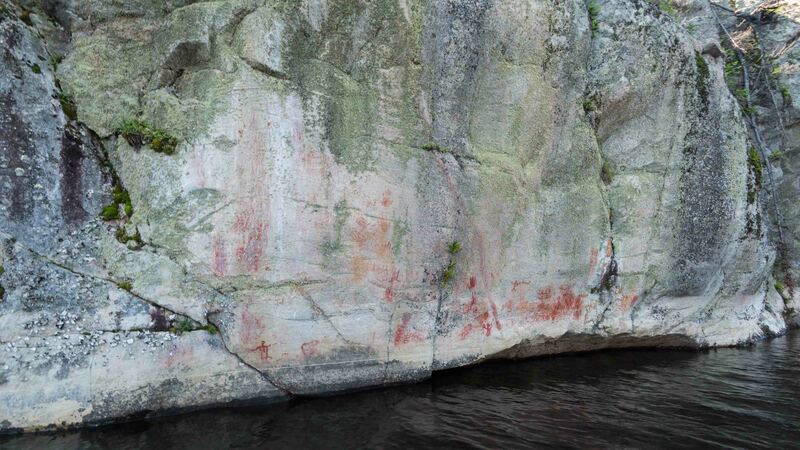 See here for a pdf file of Dewdney’s brief discussion of this Bloodvein site. 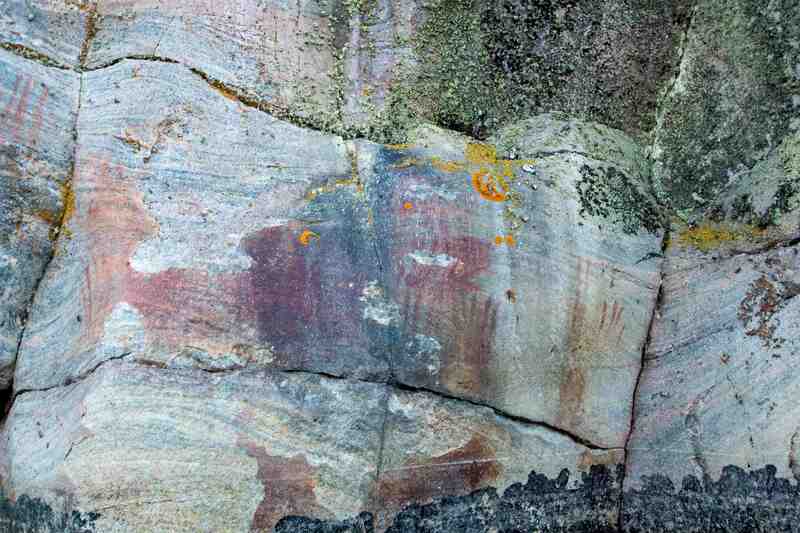 It can be found in the second and expanded edition (1967) of his classic work Indian Rock Paintings of the Great Lakes. 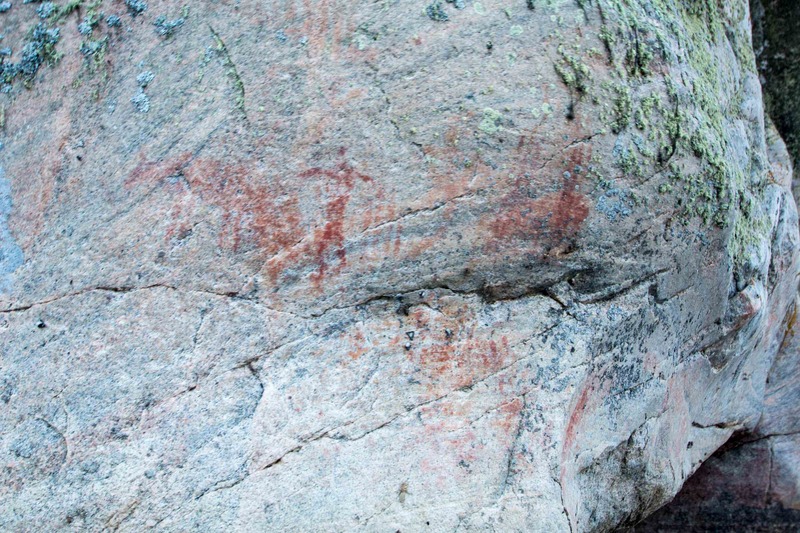 This entry was posted in Pictographs of the Canadian Shield, wilderness canoe tripping and tagged Anishinaabeg art, bloodvein river canoe trip, Bloodvein shaman, Dewdney Larus Lake, Larus canoe pictograph, Larus Lake pictographs, Murdock fox and human figure rock painting, Murdock Lake Pictographs, Ojibway rock paintings, shaman with medicine bag, Thunderbird rock painting. Bookmark the permalink. My name is Monique Blouin. I am an Assistant Project Manager at the Musée de la civilisation, in Quebec City. 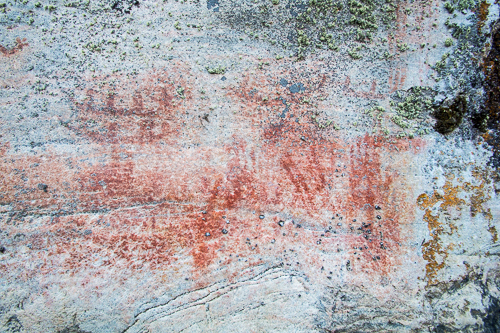 We are presently working on a virtual exhibit that concerns the Aboriginal rock art sites across Canada. This virtual exhibition will be online in the spring of 2018. In this context, the museum would like to use one of your photographs (the one under witch it is written “the main stretch of the Murdock-Larus pictograph site on the Bloodvein”). May you send me an email please? Thank you very much! Monique, feel free to use any of my pictograph photos! I will email you a higher resolution jpg file of the photo you mention. 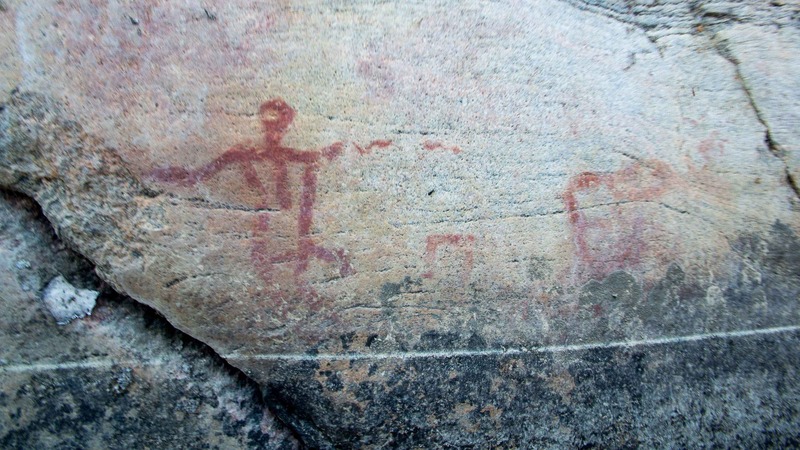 I look forward to seeing your virtual pictograph exhibit!